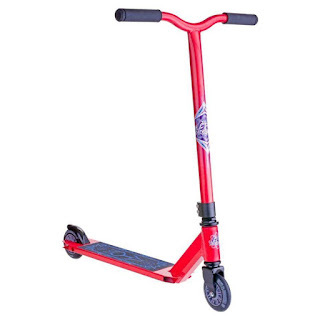 Today I am giving away A Grit 2016 Atom Complete Scooter in Red as shown above from Skates. The new 2016 Grit Scooters range has seen a load of improvements and tweaks added to all the models to make this year the best year for Grit! The new Atom model is no exception featuring a new light weight 6061 heat treated alloy deck, 100mm Nycore wheels with ABEC7 bearings and a hi tensile steel fork. 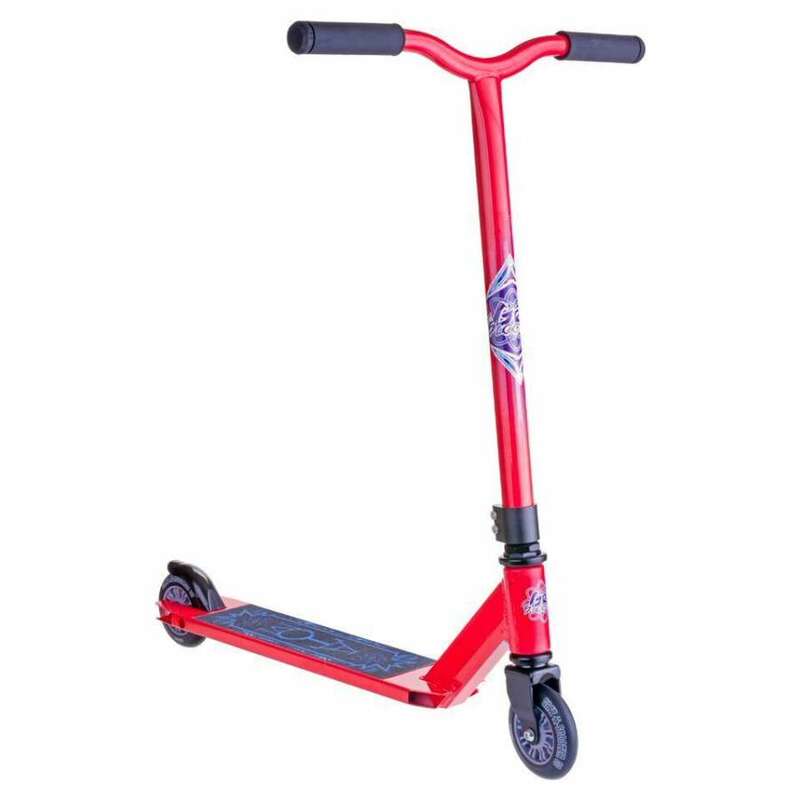 I used to love playing outside on my scooter when I was younger so I am sure who ever wins this prize your child or whoever you give it to is going to love it! My granddaughters love playing with their toy golf set, and they're better than me! We love going to the park or exploring in the woods. I love helping my son practice his goal keeping skils by taking shots at him. We go bike riding along the seafront. Walks in the park. Building sandcastles at the beach.kite flying on windy days etc. I make my living as a organic greengrocer and my nephew is fascinated with all things fruit and veg, he comes down to the poly tunnels I use to supply my shop after school every day and most weekends so much so I think I may have to start paying him a wage ha! We love to feed the ducks, kick around a football, go for walks, visit the zoo.. the list could go on! We love being outdoors! We love playing in the garden; looking for bugs, planting seeds, and on the trampoline! Walking the dog, gardening and sand play to name just a few. Beach football Family V Dogs. We love cricket and high rope activities. Going to the park is always a favourite. We like going to the parks or on woodland walks! Going to the park to see the animals - we're fortunate because there is an "urban farm" in our local park. Great give away unfortunately I'm based in Dublin. Good luck everyone! We love going to the park or feeding the ducks. We love Geo Caching and going for walks in the woods to see all the creatures. Walks, usually taking the dog as well, football, cricket, frisbee, using the outdoor gym circuit at the local park. Snail hunting! My daughter puts a little bit of nail varnish on the shell and then likes to track their progress round the garden. It's amazing how quick some of them move! We love walking around our local Ferry Medows on warm sunny days. Having picnics and playing with the dog. We love going to the park,for walks and feeding the ducks. We love to go and play in the park, pick berries and look for wildlife. Oh wow that scooter looks like a lot of fun and I love the colour. We go out with the dog usually to the beach and have fun 'throwing' the ball for the dog. What a great prize! I'm a bit small at the moment but this would've good in a couple of years for me! Walks in the woods, or looking for shells on the beach. Lovely walks, adventures in the forest, picnics and playing at the park! Going to the local farm and feeding the animals. Art and Crafts and going to the Park ! We love going for walks on National Trust properties and going to the park. We love going to the local park and bike rides. My great-niece and I love to go rock-pooling together. We love our nature walks! Right now we are all about picnics in the garden and jumping on the trampoline. We love going to the beach for long walks. We like to walk in the woods. We love taking or dogs to the beach on Hayling Island. They can all run around and wear themselves out and all need a long nap when they get home!!! We love exploring our local Park and Nature Trail, playing "tig" and kicking a football about too. Even wet days are great means we can put on our wellies and splash in muddy puddles. We love to go walking / hiking in the Lake District when the weathers good! We like geocaching and climbing trees! We have a little park very close so we really enjoy spending time there even if the weather is not great. We love going for walks together! my little boy loves me to play football with him outside at every opportunity we get! He gets to play with mum and mum gets some well needed exercise! I take my kids to the forest parks with our dog where we collect acorns/leaves/stones whatever is around. I enjoy taking the kids to the park, we also go for a walk every Sunday morning and both my girls love helping me in the garden. We go along the Stratford - upon - Avon canal for long walks. We like going out walking, my little one on her scooter...it is on it's way out now! We love going to the park, Tyler loves the swings and the slide! I love to go on a nature treasure hunt. We write a list of things we want to find then go on a walk through the park looks for them.